Can't Urinate In Public? Here's Why. Do We Finally Have Control of the Ebola Virus? School Start Time and it's Effect on our Sleeping Pattern? What Does GMO actually stand for? What Happened to the Trap King's Eye? Writing Your First Case Report? Hi, my name is Laureano Andrade Vicenty, and today I will tell you how I went from scoring a 501 on my first diagnostic exam, to scoring a 518 on the MCAT. Hold on to your seats, as the MCAT secrets will soon be revealed to you. I will begin by telling you about my background, then I will discuss programs, materials used, how they were used, and finally study techniques & scheduling. I will tell you the punch line now, it is about discipline, and using the right resources. I am an afro-latino male from Rockland county, NY. I played football in high school, love rap & hip-hop, as well as a ton of other music that I don’t know the genre for, and I have a passion for science. I graduated from Albertus Magnus High School in 2012 with a GPA of about 77 or so (Don’t remember exactly). In 2014, for my first two years of my undergraduate career I went to community college (Rockland community college), where I took all my medical school pre-reqs (Except for biochemistry), graduating with an A.S in math and science with a GPA of 3.65. I then transferred as a junior to Stony Brook University. The only courses that I did not take that are related to MCAT topics is statistics and sociology. In 2016, I graduated with an honors diploma in biochemistry with a Stony Brook GPA of 3.91, and a cGPA of both schools of 3.75. As you can see, not a stellar performance, but an upward trend. So how did I score so well on the MCAT? One of the major reasons why I did so well is academic mentorship. During my senior year, I enrolled into a program called the Medical Pathway Program by Mentoring in Medicine. The Medical Pathway Program (MPP) is an intensive preparatory medical school boot-camp. One of the components of the program is a 20-week Saturday MCAT Kaplan MCAT prep course that run between May-August and is based in Manhattan, NY, for a fraction of the normal price ($1,750 compared to $2,299 through Kaplan directly [Not the biggest fan]). With this course comes a live instructor, the full set of Kaplan textbooks (again, not the biggest fan), online MCAT content videos, and a plethora of practice exams, both from Kaplan and AAMC. The other components of the program include study groups, mentors, shadowing opportunities, health-related community service opportunities, and help with your primary and secondary applications. It is geared towards minorities in medicine, but everyone is encouraged to apply! In my opinion, the second half of this program is what really helped me prepare my application to medical school; the first half, not so much. Oh and yes, since all of this occurred during my senior year, that means I took a gap year. I took a gap year because I was an idiot during my junior year and thought I could just breeze through the MCAT. WRONG. As you will come to appreciate, you cannot "wing" the MCAT. So, if you are thinking that you are so smart that you can just take it and do well, you will be surely disappointed, and will be taking a gap year, just like me. Though, a gap year is not the worst thing in the world, so if you have already been forced to take one, think of it as an opportunity, an opportunity to do better. Now to the meat of things. There will not be many words here on out after this last bit. 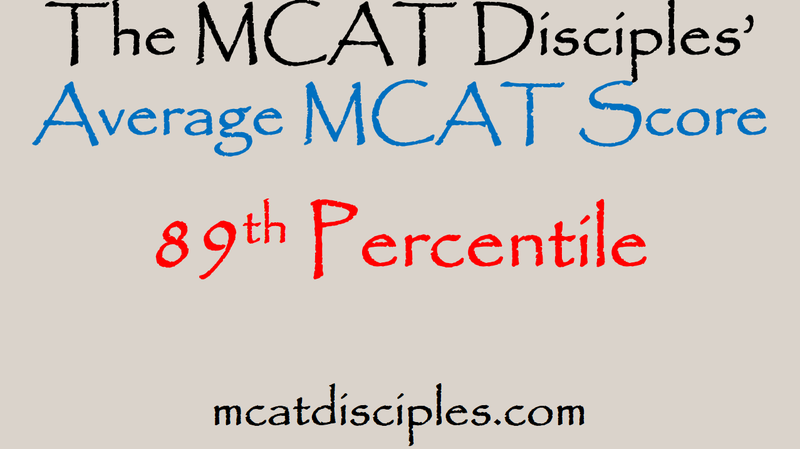 The MCAT is a test of not only intelligence, but of your mental fortitude and perseverance. You can’t just study two weeks before the exam. You can’t do well on the MCAT without studying. You can’t just give up after every 20 minutes of studying. 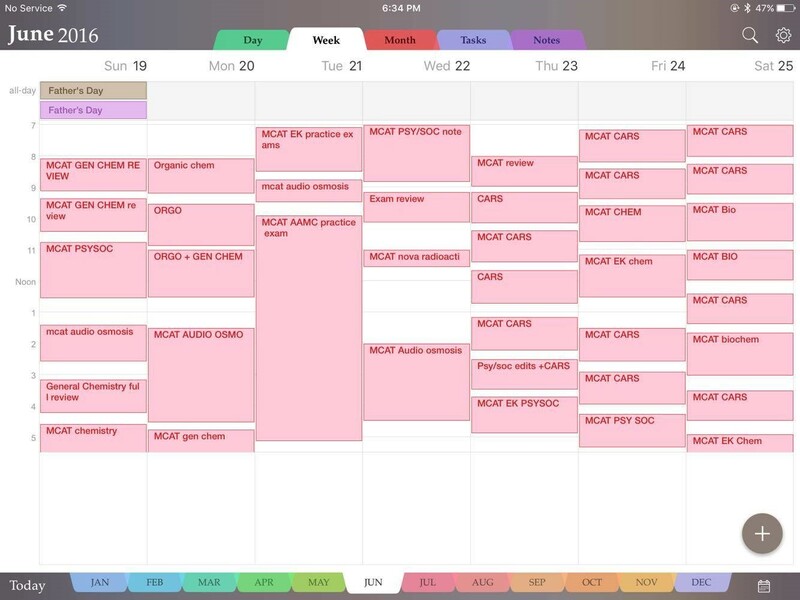 IF YOU WANT TO DO WELL ON THE MCAT, YOU HAVE TO COMMIT TO STUDYING LARGE AMOUNTS OF TIME A DAY, FOR MANY MONTHS ON END, AND NOT JUST QUIT EVERYTIME YOU FEEL FRUSTRATED, OR YOUR TIRED, OR YOU JUST DON’T WANT TO STUDY ANYMORE. “Work hard now, and live the rest of your life a champion”. Below you will tables for each MCAT section consisting of all the textbooks and other materials I used. I hope that you find it helpful! This is a really good book if you are confused with any topic. Figure 2 All the physics materials I used during my study. Great for physics applications that you may see on the MCAT. Great book if you haven’t done physics in a long time. You should start here. Used for clarification and studying. Figure 3 All the bio/biochem materials I used during my study. Most of it is NOT on the MCAT, but portions are. Figure 4 All the psychology and sociology materials I used during my study. IF YOU CAN’T SPEAK ABOUT THE TOPIC IN QUESTION, YOU DO NOT KNOW IT WELL ENOUGH AND NEED TO GO BACK AND REVIEW. I used a lot of Kaplan materials for practice, as well as their so-called MCAT channel and review videos. I also used the Kaplan passage outline method for CARS only. I did all of the 30 minute exams from the EK book series. I thought they were great conceptual questions. I find it to be a waste of time to take exams when you do not know anything. With that in mind, I took about 5 full lengths. One was a diagnostic at the beginning of my studies. One was about 3 weeks in, and the rest I took very close to my exam. Four were from Kaplan, and one from AAMC. AAMC was more realistic. The ExamKrackers 30 minute exams were very realistic. Kaplans exams had a lot of needless calculations, but the CARS felt similar to the real MCAT. Do not be discouraged if you do not do well on the Kaplan practice exams. I never scored anywhere near the 97th percentile on Kaplan practice exams, although I did score relatively close to that percentile on AAMC practice exams. As far as reviewing full-length exams goes, I did not review mine until I was very near to the end. I did not review the early exams because there was just too much wrong, and I felt it a waste to do so, rather I spent that time reviewing the content again in its entirety, and acessing different texts/resources. You should take a full-length two weeks before your exam, and then go through it, find the topics you are lacking in, and get to writing diligent notes on those topics. Apart from the other full lengths you should do, you should certainly take a diagnostic full-length two weeks before your exam, and then go through it, find the topics you are lacking in, and get to writing diligent notes on said topics. It is very important to do practice exams and/or questions on research-based passages, like the AAMC question packs. 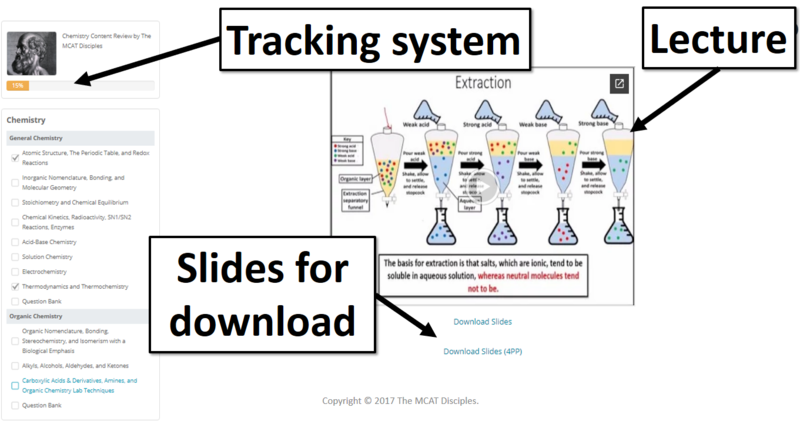 This is the bulk of the real MCAT exam; research-based reasoning. With the aforementioned medical pathway program, you will be provided with the AAMC question packs to practice this. I have a powerpoint showing how to deal with research-based passages, and clicking this link will bring you to it. Hint: You need to know the scientific method better than you do now. -- MiMentor is a national mentoring organization committed to mentoring the next generation of healthcare professionals. 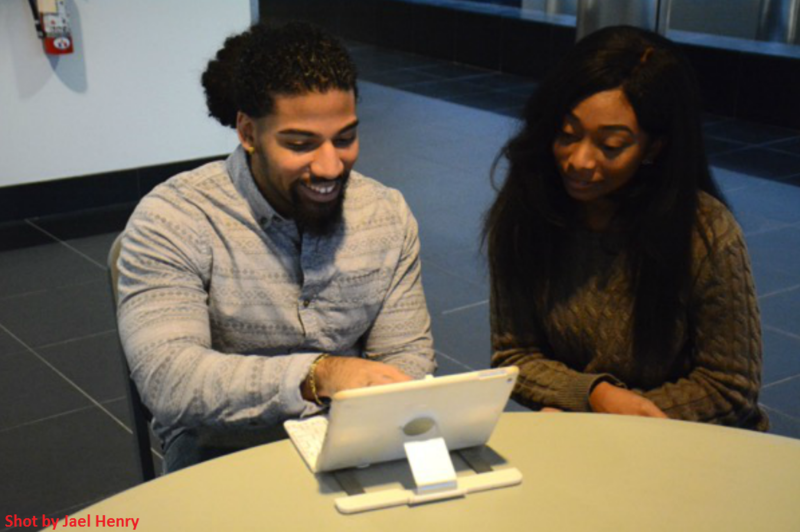 Their mission is to develop and support innovative mentorship opportunities that will inspire the next generation of healthcare leaders for underserved communities. -- The MCAT Disciples works with MiMentor to provide quality MCAT preparation at little to no cost to under-represented minorities in medicine. You may learn more about these opportunities by joining the network. YOU NEED TO BE DISCIPLINED. DO NOT QUIT. EVERYTIME YOU GIVE UP, EVERYTIME YOU DECIDE TO WATCH TV, EVERYTIME YOU DECIDE TO SLEEP IN, YOUR LETTING YOUR DREAMS SLIP FARTHER AND FARTHER AWAY. I AM ASKING YOU TO BE BETTER THAN THAT. SHOW SOME HUNGER, BEAR YOUR TEETH, DEMONSTRATE THAT BEING A PHYSICIAN IS WHAT YOU TRULY WANT TO BE. I AM ASKING YOU TO BE STRONG, TO BE VICIOUS, TO NOT LET THE MCAT BREAK YOU DOWN. YOU ARE A WOLF DAMN IT, YOU BETTER ACT LIKE IT! An exemplar (and real) schedule is shown below. Ideally, start at 7 AM, that way you can finish at 5 PM, and have the rest of the day to yourself. Take 10 minute breaks every hour, and do not get up before an hour has passed. Hold yourself to this number, make yourself accountable for reaching this number every day, no matter what gets in the way, you always hit at least 8 hours. Eating, texting, and using the restroom does NOT count. Do not snack while studying, eating is your reward for studying, not a side show. Smile, write smiley faces every, condition yourself to love what you do. You will not do well on the MCAT hating it the whole time. If you are currently taking pre-requisites at your school, or you have access to your recorded lectures, I recommend going back and relearning the material that way! You already learned it once, it will be much easier to relearn the material in the same fashion you learned it the first time, and that is called the spacing effect, which you will learn about in your MCAT psychology studies! If you need more study tips, watch Study Less Study Smart by psychologist Marty Lobdell. Scribe chapters you don’t understand (completely). Record audio lectures of your notes, then listen and read them over and over. It is much faster than trying to remember things by just reading. The aforementioned exemplar schedule is shown below. Please note, that the schedule continues after 5 PM, but I could not get it all into one frame.